It was quite the masterplan. Jose Mourinho was forced into making a double substitution in the 26th minute followed by a third at half-time. Yet nothing worked: Fulham beat the reigning, and soon to be successfully defending, champions Chelsea 1-0 en route to another admirable mid-table finish. Coleman’s time at Craven Cottage and with Real Sociedad can both be considered qualified successes, while his lower-league spells with Coventry and Sunderland were disastrous. His time in Greece and China were hardly triumphs, yet taking Wales to a European Championship semi-final was an unprecedented achievement. And don’t get us started on turning Hal Robson-Kanu into Johan Cruyff. It might well be considered the greatest Premier League season in West Ham’s history. They have never accrued more points (62), won more games (16) or scored more goals (65). 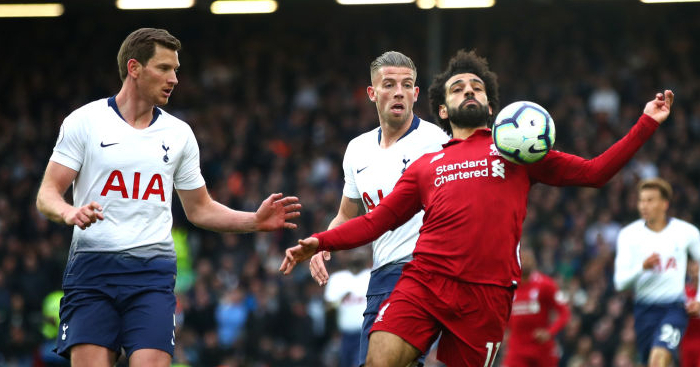 They lost just eight matches when their previous low was 13, recorded a positive goal difference for the first time in the top flight since 1986, and became only the third club to ever win away at Arsenal, Liverpool and Manchester City in the same Premier League campaign. After such a phenomenal debut season in charge, the only way was downhill. Bilic was sacked two years and five months after his appointment, and remains without a trophy even after stints with Hajduk Split, Lokomotiv Moscow, Besiktas and Al-Ittihad. A quarter-final place as the dark horses of Euro 2008 with Croatia is scant consolation. Still the only British manager to ever win away at Bayern Munich, Mike Walker was the original Premier League upstart. His Norwich side spent 129 of a possible 267 days atop the table in 1992/93, leading the pack as late as March before falling away into third behind the more established forces of Manchester United and Aston Villa. Walker would never again recapture that magic. He struggled at Everton and upon his eventual return to Carrow Road, seemingly quitting football altogether in 2001 after a short reign as APOEL manager in Cyprus. Not bad for someone who almost broke Alex Ferguson’s monopoly even before he unpacked the board and declared himself the banker. Perhaps best remembered for meekly protesting his 2003 Crystal Palace sacking by pointing out it was his birthday, Trevor Francis deserves far more than to be reduced to a figure of ridicule. Four seasons at Sheffield Wednesday returned a third-placed finish, two cup finals and relative calm before a storm that would send the club crashing into the third tier. The only manager to lose both the FA and League Cup finals in the same year in 1993, the first £1m footballer parlayed playing success into a managerial career during which he rather satisfyingly won 44, drew 42 and lost 40 of his 126 matches as a Premier League manager. He also began the Francis stranglehold imposed on the Premier League Manager of the Month award for December, with Trevor winning it in 1993 before Gerry’s success in 1994. Roy Evans broke that spell by 1995, the spoilsport. It is an eclectic selection. Sir Alex Ferguson, Sir Bobby Robson, Harry Redknapp, Carlo Ancelotti, Rafael Benitez and Ronald Koeman are joined by Gareth Southgate as the only seven managers to have been in charge of a team that has scored eight or more goals in a single Premier League game. Middlesbrough’s May 2008 demolition of a Manchester City side that started the final day 16 points ahead of them in the Premier League table remains the most notable achievement of Southgate’s coaching career at club level. He guided them to 12th place in his first season before suffering relegation to the Championship in his second, and was sacked with the club in fourth and one point off first midway through his third in October 2009. His subsequent transformation from bumbling, sexless boyfriend to managerial marriage material has been startling. Even almost a year later, he still turns us on, and his England evolution has opened up many potential avenues. Indeed, where else could Real Madrid possibly go when it turns out Zinedine Zidane can’t upturn their fortunes as well as he can his jeans? Leslie won two Premier League titles, a European Cup Winners’ Cup and four FA Cups, but nothing more than a October 2007 Premier League Manager of the Month in his second footballing vocation. This is a top-flight mainstay who must measure his achievements by longevity, not medal collection. To a degree, he has been a little unfortunate. Hughes became Blackburn manager two years after winning the League Cup at Ewood Park as a player, joined Manchester City during their growing pains as a genuine force, headed to Fulham just after they reached the Europa League final, then came nowhere particularly close to meaningful success at QPR, Stoke or Southampton. He either joined sides too late or too early, if indeed he chose the right one at all. A 20-year managerial career has seen Hughes reach five semi-finals but not a single final. For as long as he pretends to have never been relegated, karma dictates that he won’t win a trophy. But he might always boast one unique achievement. The manager of the highest-placed London-based team in the inaugural Premier League season was also the mullet that stabilised Tottenham after their Ossie Ardiles ordeals. Gerry Francis has had fleeting top-flight coaching returns with Stoke, Crystal Palace and West Brom since, but not as a head coach since November 1997. A Tottenham reign that ended in relegation-battling disaster started with a fight to qualify for Europe. Ardiles had left remarkably unreliable foundations in north London yet Francis still managed to build a side with more defensive awareness and intelligence. They came seventh in his first season – just two places below his exciting QPR side two years earlier. After retiring as a player in September 1995, David O’Leary made a rather nondescript return to Elland Road as George Graham’s assistant 12 months later. When the Scot walked out on the club to join Tottenham in October 1998, it was expected that Martin O’Neill would similarly jump the Leicester ship to climb the managerial ladder. His surprise rejection, in part due to a Leicester Mercury protest and a deluge of Foxes fans armed with ‘Don’t Go Martin’ posters at home games, left Leeds with a dilemma. Their response – to promote the previously untried O’Leary – was an unlikely masterstroke. He rode the wave of a perfect storm, taking the job at a time when money was no object, while Jonathan Woodgate, Alan Smith, Harry Kewell, Stephen McPhail and Ian Harte were on the brink of breaking into the first team. But his and Leeds’ inability to predict the weather brought it all crashing down. O’Leary reached the semi-finals of both the Champions League and UEFA Cup, securing three top-four finishes in four seasons at Elland Road. They were one of the best Premier League sides never to win a trophy. 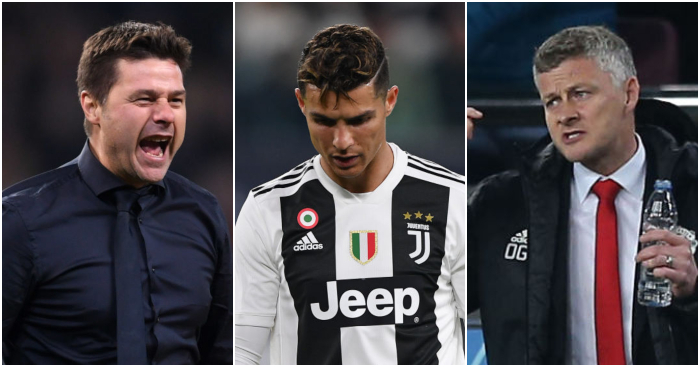 That he hasn’t coached since a brief stint in the United Arab Emirates in 2011 – and not at all in the Premier League for 13 years – is unfortunate, given the merry-go-round nature of modern management. “Wenger is ­perceived to be a genius, but he hasn’t delivered a trophy in six years,” said Tony Pulis of the Arsenal manager in October 2010. It was less pot calling the kettle black, more knackered old stove calling out a state-of-the-art oven for producing sh*t meals. That obviously does a great disservice to Pulis, the very definition of a manager with no hidden dimensions or surprises. What you see is what you get with the Welshman: a purveyor of the defensive game who is eminently more likely to conduct an entire press conference standing up while wearing a club-branded cap than use the young, diminutive and skilful winger he loaned from a Premier League side at the start of the season. He came up from the Third Division with Gillingham as runners-up in 1996, and guided Stoke to the promised Premier League land, standing second on the Championship podium in 2008. The Potters were even a Yaya Toure goal away from tasting FA Cup glory in the 2011 final, once again bridesmaids bound never to be wed.
Pulis never placed higher than 10th nor lower than 14th in the nine seasons he finished as a Premier League manager, only ever earning between 42 and 47 points across three separate spells at Stoke, Crystal Palace and West Brom. Even after his eventual Baggies sacking and self-imposed relegation to second-tier Middlesbrough, such unerring consistency is ridiculous. Like the fluctuating levels of FA Cup magic, the dominance or demise of Premier League clubs in Europe or the degree to which international football is broken, Mauricio Pochettino’s lack of honours has become one of the sport’s interminable debates, destined to be dredged up as a laborious topic at intermittent points throughout the season. To have no opinion is to have the wrong opinion. 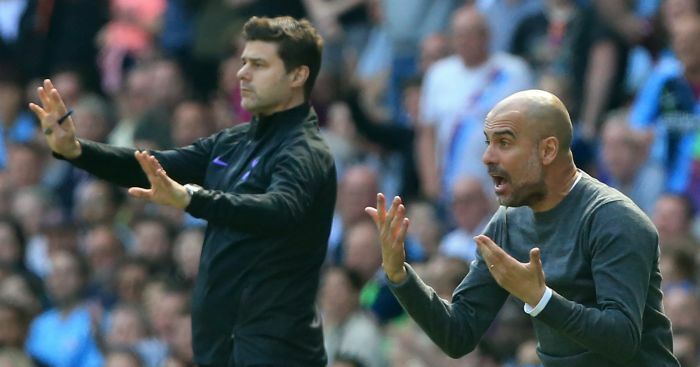 One must either consider Pochettino’s empty trophy cabinet as a slur on the game itself and an example of his limitations as a coach, or merely a reflection of the silverware-starved teams he has managed. The middle ground – that he has exceeded expectations wherever he has gone without having anything tangible to show for it – is uninhabitable. Would winning the FA Cup really augment his reputation? Should his time at Espanyol be largely overlooked because he failed to deliver an unthinkable Copa del Rey? Is his ability to shatter glass ceilings worth nothing because he doesn’t have an Argentinean league title to his name? 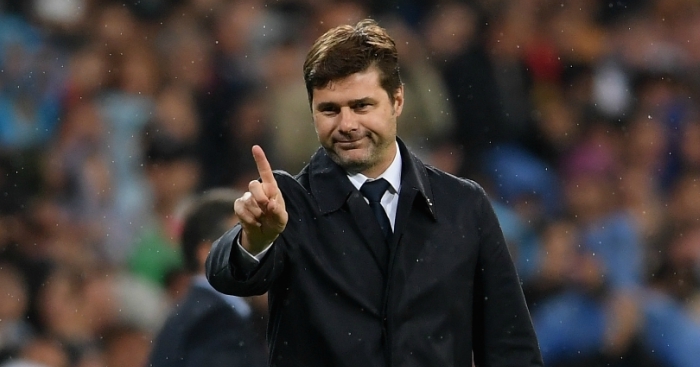 He took over a Tottenham team that had finished sixth, ten points behind fourth, in 2014. 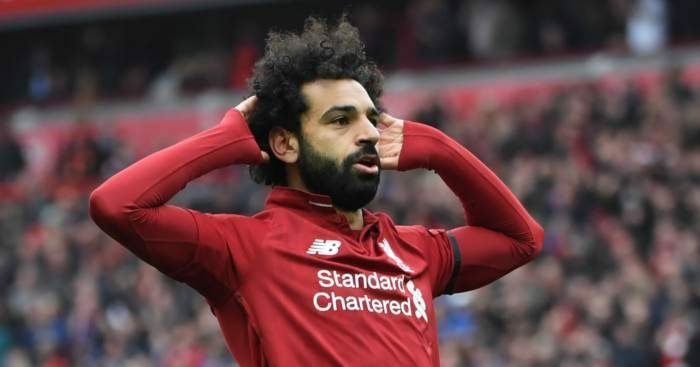 They have since come fifth, third, second and third, reaching one cup final, two semi-finals and a Champions League quarter-final under his tutelage. Yet the lack of an FA Cup is enough for some to scoff at his credentials. When asked about Tottenham’s priorities for the upcoming season, with European glory still a distant but distinct possibility this campaign, Daniel Levy captured the conundrum. 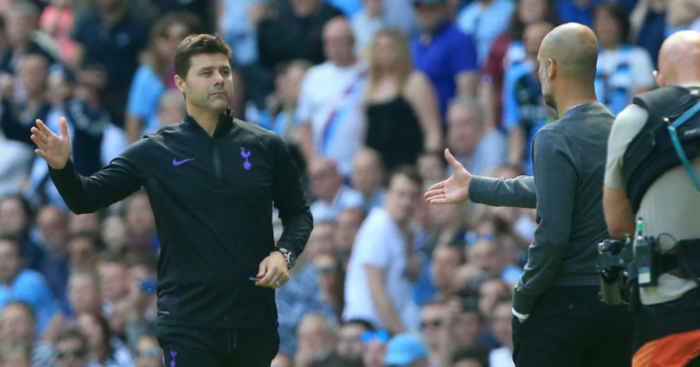 Tottenham’s chairman said Pochettino “wants to win all four competitions”, but that the Premier League and Champions League “are the main competitions you’re judged on”. It will forever remain that way. 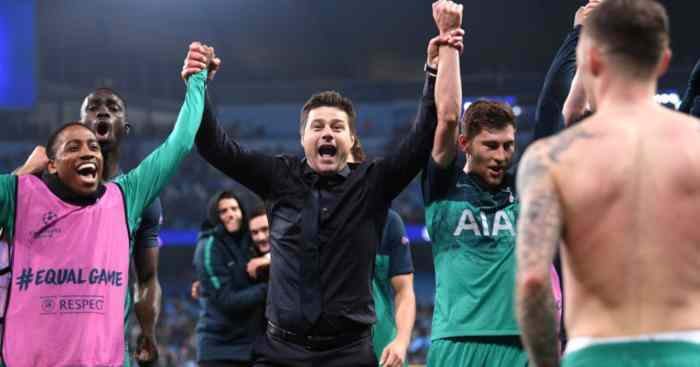 Tottenham had never finished above fourth in the Premier League and had enjoyed a single season in the Champions League in their entire history before his appointment, but they are now required to win one or the other for Pochettino to be given his due. That only ten managers have ever won more Premier League games is too often forgotten.